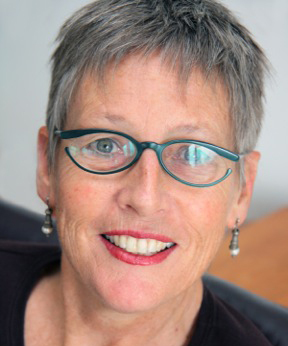 Liese Groot-Alberts is an international public and keynote speaker, training workshop presenter on topics relating to grief, loss and bereavement, palliative care, selfcare for the carers and finding ways to connect when working with difference. Working in palliative care means working holistically and at all times to be aware that healing and comfort-management is holistic. The ability to respond to physical, mental, emotional and spiritual distress is strongly linked with the ability for the health-care professional to stay present and connected. Trainings and workshops in Palliative Care are focused on working collaboratively to enhance and strengthen the knowledge, skills and confidence of practitioners in the health-care field to provide holistic care and support for those receiving palliative care services. Embracing death as being part of life teaches us much about the art of living fully. Life and suffering are inextricably linked. Grieving for a significant life changing event brings an opportunity to address the suffering, integrating the strengths needed for healing in the physical, emotional, intellectual and spiritual realms. It is essential to acknowledge difference in expressions of mourning and grieving. This acceptance enable us to stand beside the other and create a bridge for connection, honouring difference as well as recognising the shared human experience of loss. When flying an aircraft, the safety instructions are quite clear; in an emergency, if you are travelling with someone who needs care, put your own oxygen mask on first. For the work of the Health Carer this metaphor is very appropriate. To be effective and stay healthy in this role it is essential to take care of ourselves first. Self-care in this context is viewed as having two aspects. Firstly, we need to nurture ourselves physically, emotionally, intellectually and spiritually. The second aspect is self-awareness, more challenging but vitally important. For without self-awareness, we are less likely to be able to facilitate meaning, healing and hope in others and are more likely to project our own issues and needs onto those we care for. We are also more likely to develop ‘burnout’ or ‘compassion fatigue’ at great personal cost. before death closes your mouth. "